This will be my first review of Indonesian restaurant in Sydney and I decided to go to one of the newest, Indo Rasa Restaurant. They face a daunting task of competing with well-established Indonesian restaurants in Kingsford. Upon entering the restaurant, you felt the décor was more thoughtfully done than the others’. There was a sense of blandness in the middle of the restaurant. There are plenty of foods to choose from the menu. You can either choose the set rice menu or share plates. In the order of appearance, the first one to arrive was the Lamb Satay with peanut and sweet soy sauce. 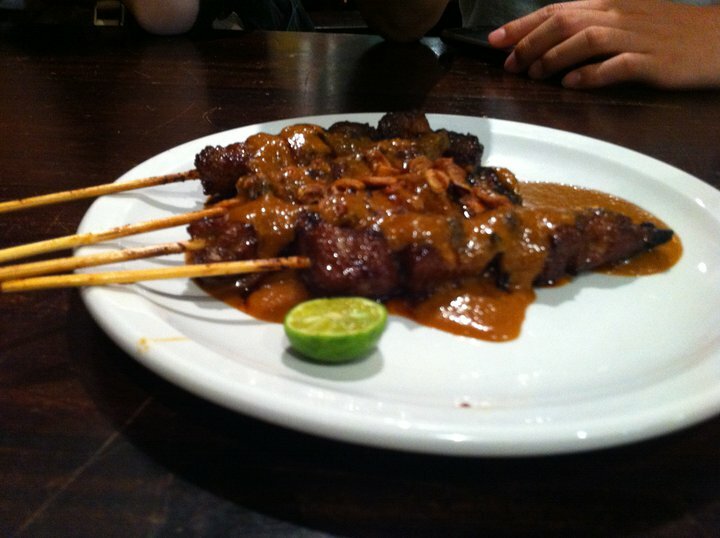 It’s a rich lamb satay with a nice grilled taste. There’s an optional fresh lime if you want a little taste of sourness. 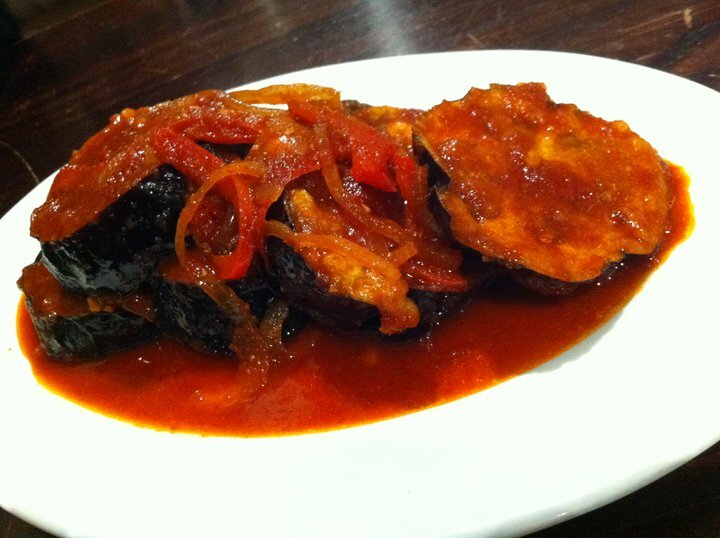 Then came Sambal Eggplants. Though sambal translated directly to chilli, this dish was not hot at all. I think the bright red came mainly from the tomato sauce. The dish was also rather sweet. The next one was probably one of the better dishes of the night. It was Grilled Squid. This was the only way I like my squid to be grilled. Basted with sweet soy sauce, the squid left no hint of soggy-ness. It was perfectly dry and yummy. 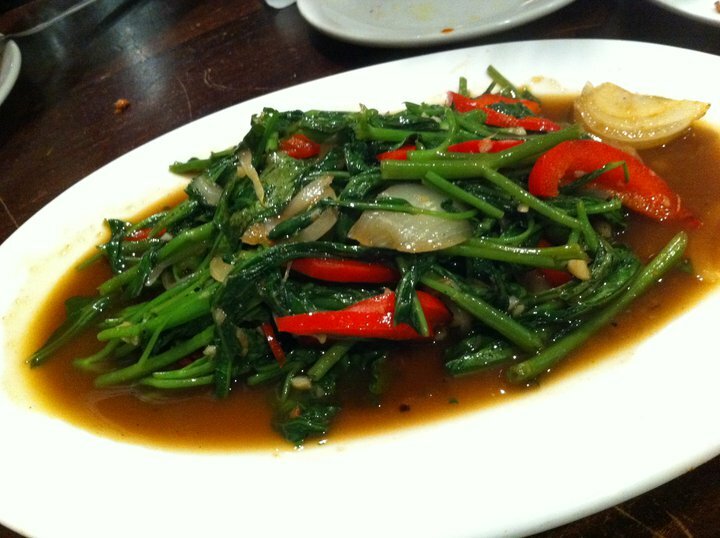 We also had Ca Kangkung (Stir fry water spinach). This and the next one are more like Indonesian-Chinese dish. I particularly like this one because it was half-soupy dish. 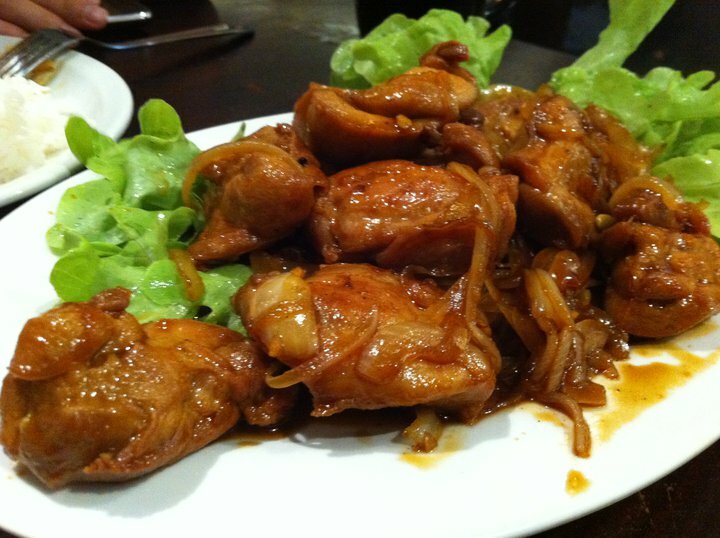 Then, the very last dish served was Ayam Goreng Mentega (Butter Chicken). I must stress out that this was NOT Indian’s butter chicken. The Indonesian adaptation of butter chicken was actually more like a sweet soy and chopped-onion fried chicken. The highlight for this dish was the chicken. It was mighty tender, yet tasty. There were a side dish and a dessert that can only be enjoyed with an acquired taste. 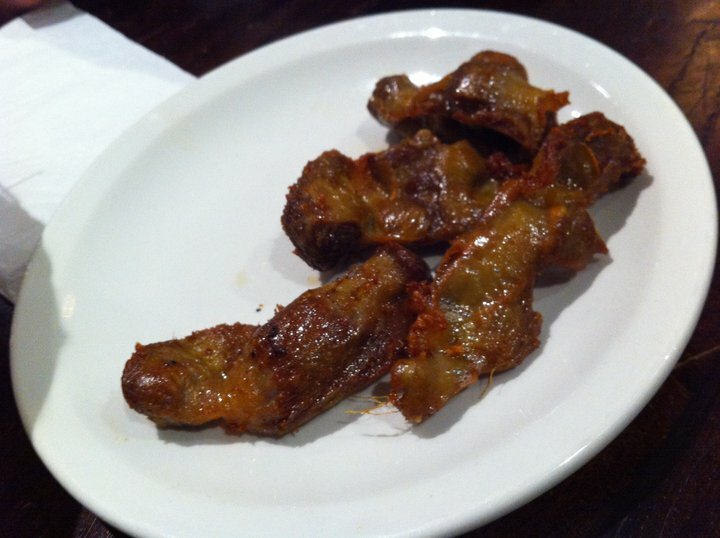 Fried gizzards dish was basically the complement of chicken’s liver. They had a chewy texture and were usually served plainly on a side plate. 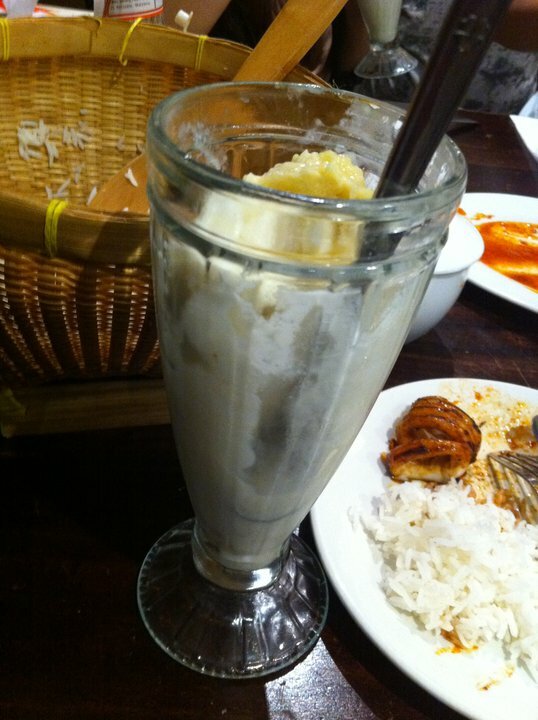 Then, there was also Iced Durian. Love ‘em or hate ‘em, Durian had this unique smell that was fantastic (to me). This particular dessert was a combination of fresh Durian fruit and Durian ice cream. 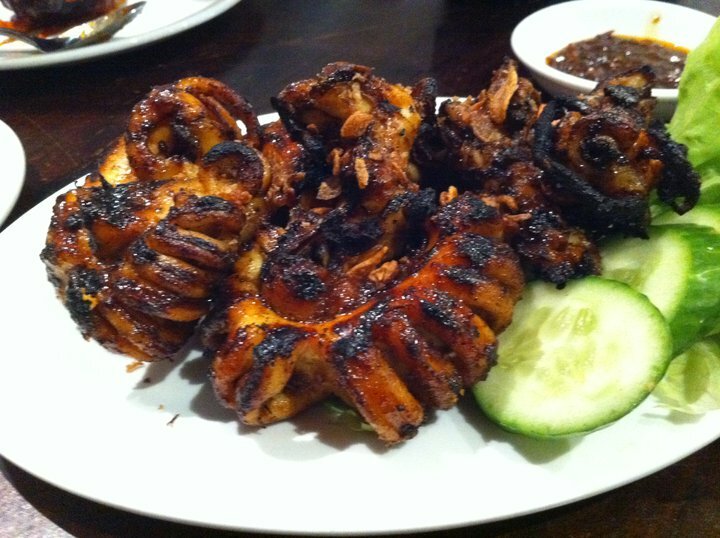 Indo Rasa is just another Indonesian restaurant. 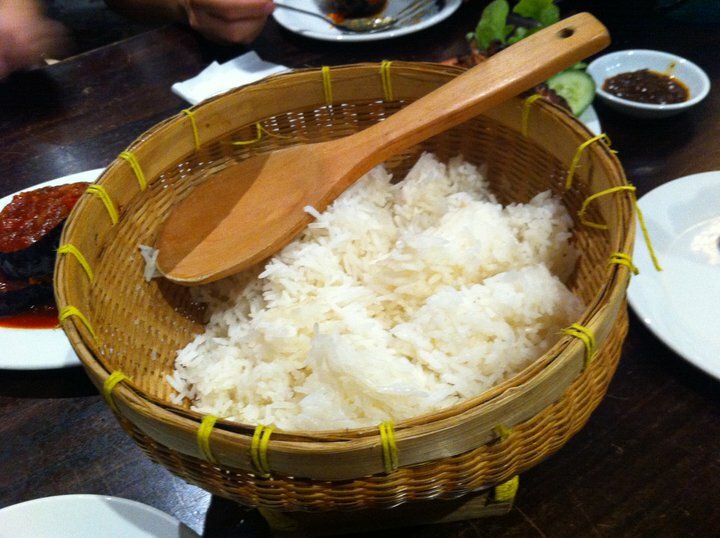 The dishes are all decent and the portions are slightly bigger than other Indonesian restaurants in the area, but nothing really stands out. If I have to choose, my favourite would be the Grilled Squid. As I mentioned on the first paragraph, there are a lot of Indonesian restaurants in Kingsford area that you can try. I am indifferent towards any of them, since I think nothing stands out and I tend to choose whichever has less people.